#MyDiwali – What does Diwali mean to you? 14 Oct #MyDiwali – What does Diwali mean to you? 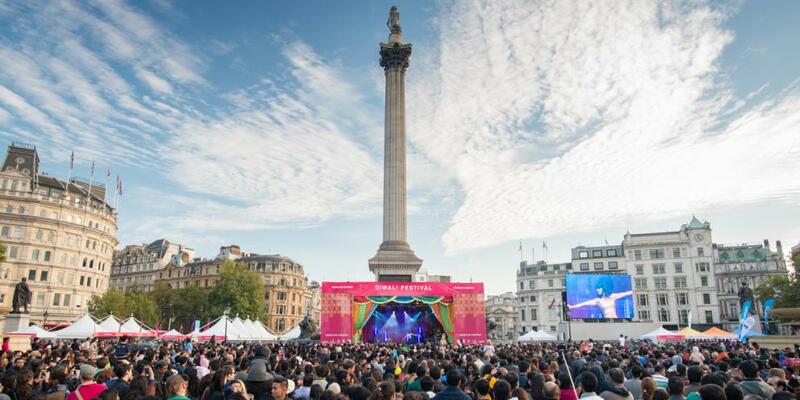 On 16 October, Diwali Festival will light up Trafalgar Square with the colour, music and dance of India. The square will come alive with the spices and flavours of the Indian street market, beautiful Indian crafts & gifts plus much more. This year, we’d love to see and hear about everyone’s Diwali memories and what this festival of lights means to them. We’re using all the #MyDiwali images to make a very special Diwali lamp, which will light up on the big screen at the event on the 16 October! Do you want to help light up Trafalgar Square and have your #MyDiwali picture on the big screen? Share your pictures of what Diwali means to you using #MyDiwali and @LDN_gov. You can also use our #MyDiwali message board to write your thoughts on. Sanjay Gadhvi is the Chair of the Diwali in London Committe. He’s shared his #MyDiwali – have a read.